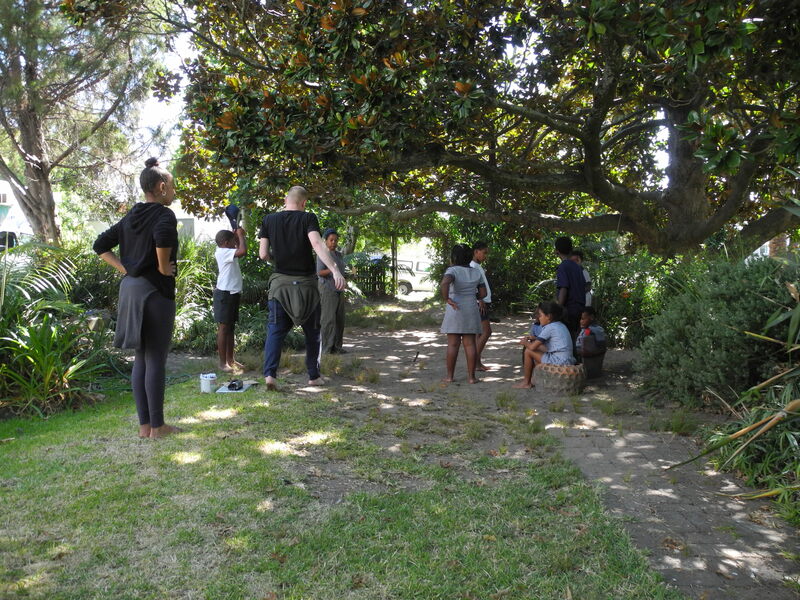 We are a bunch of dancers, choreographers, visual artists, academics and architects from Cape Town and Copenhagen who explore the significance of artistic approaches in pedagogic systems. 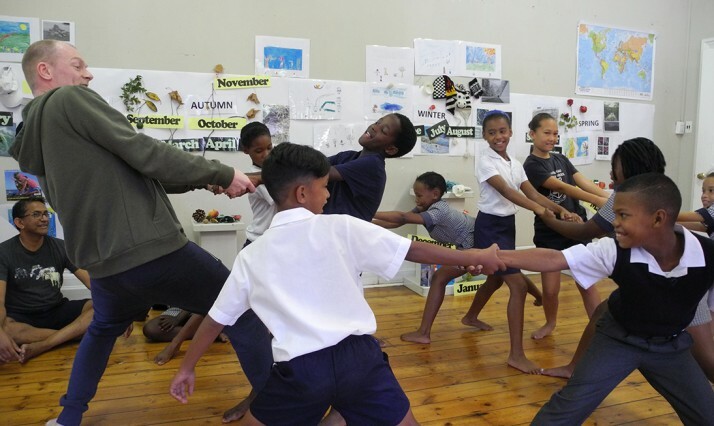 With children from Cape Town and Copenhagen we have combined and developed our artistic tools and methods with the purpose of investigating how and what children learn through artistic exercises. In this sense embodiment is a keyword and methods of Arts Based Educational Research (ABER) are central. 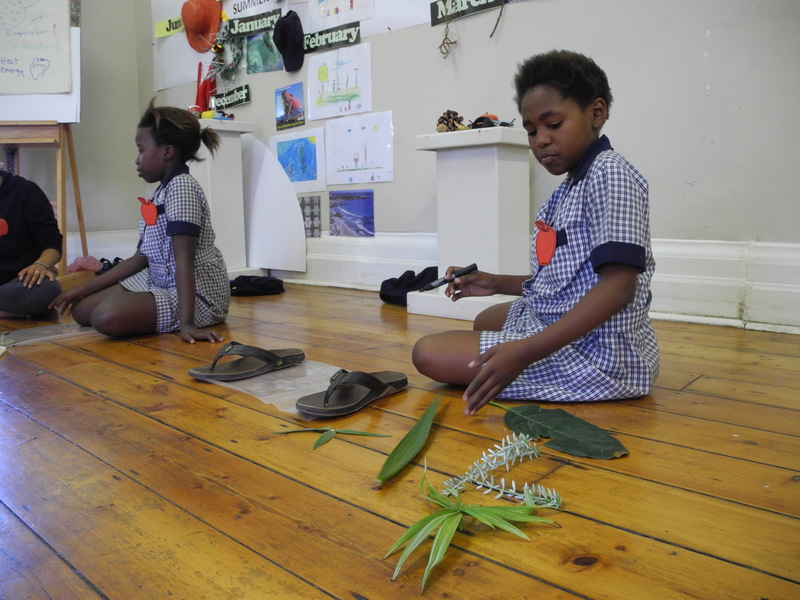 The overall themes of Red Apples – Green Apples is sustainability and climate examined through awareness of how the four elements work and interact; fire, earth, water and air. 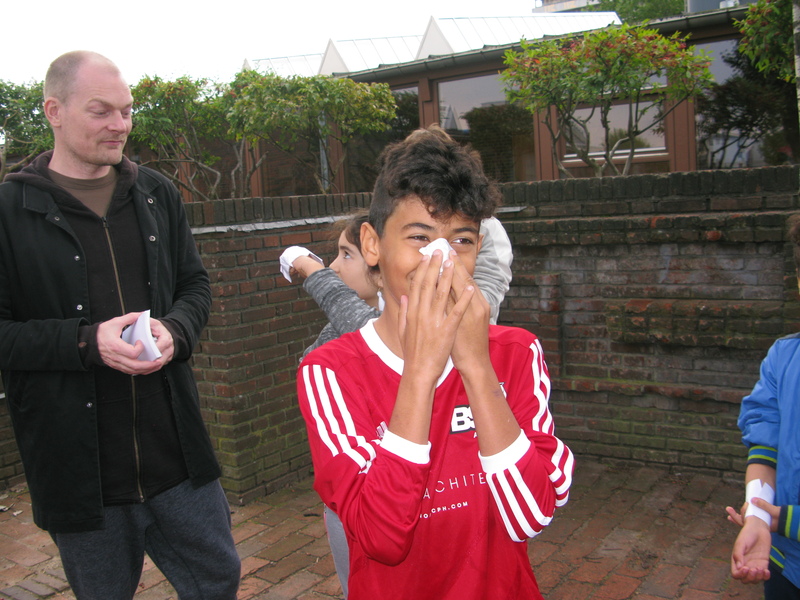 This includes awareness of similarities and differences between the climate of South Africa and Denmark. 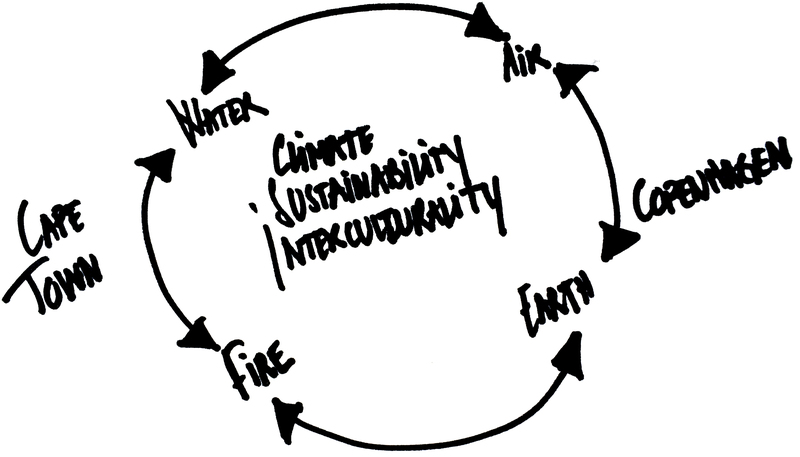 Continuously, the intercultural development, similarities and differences are considered with great importance. 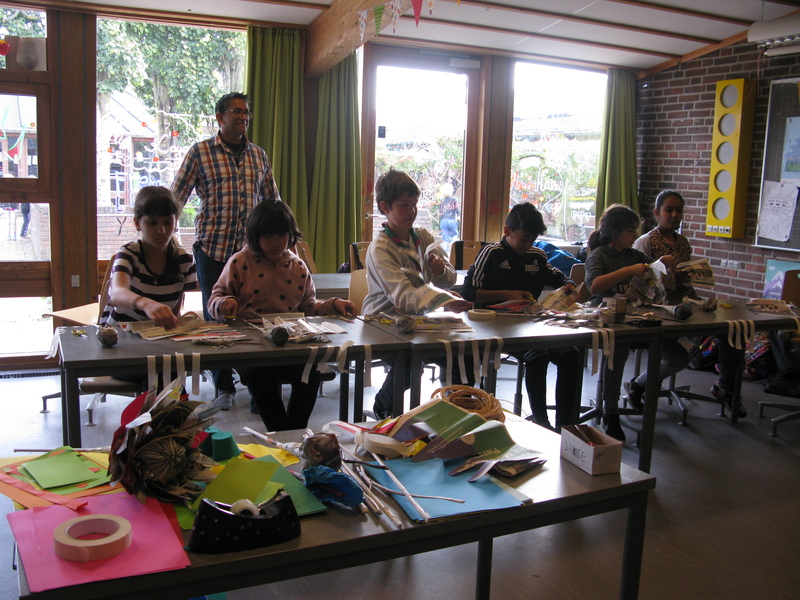 An overall approach is to integrate the various art forms involved. 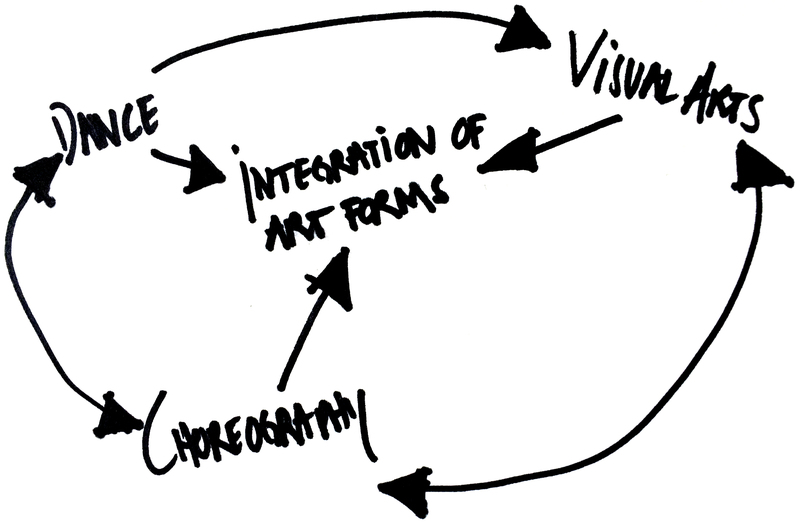 Each artist/academic has each their approach to the above mentioned research. 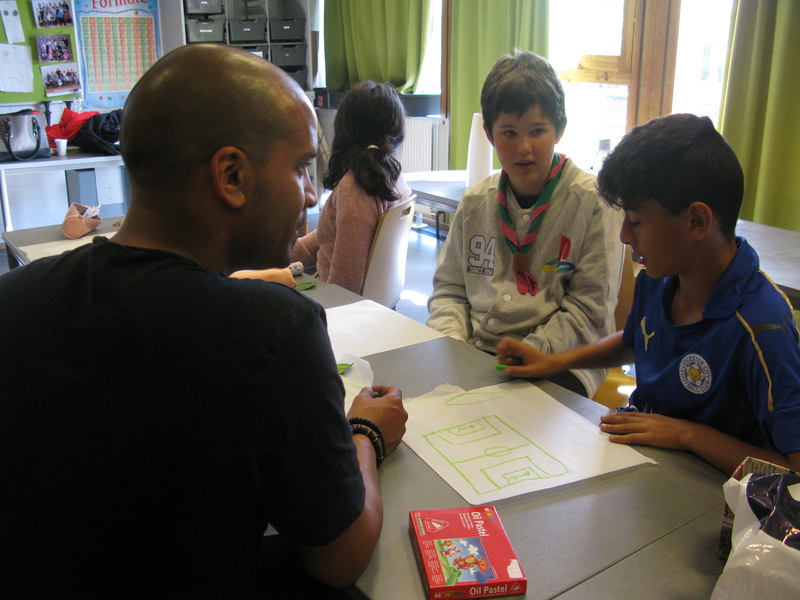 My approach is to introduce the children to artistic tools that can help them explore and communicate their own, each other’s and our common stories. Those are tools for body awareness and replication of shapes. 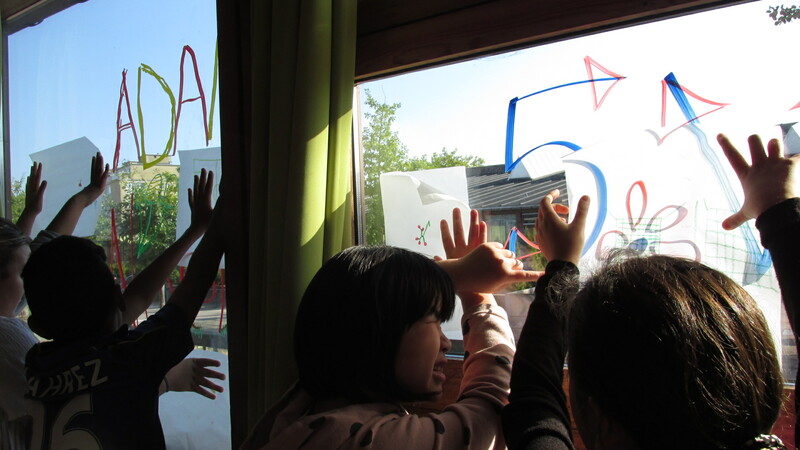 How it develops in practice is up to the children’s own wishes and potentials, and thus they become partakers of the projects they help form. 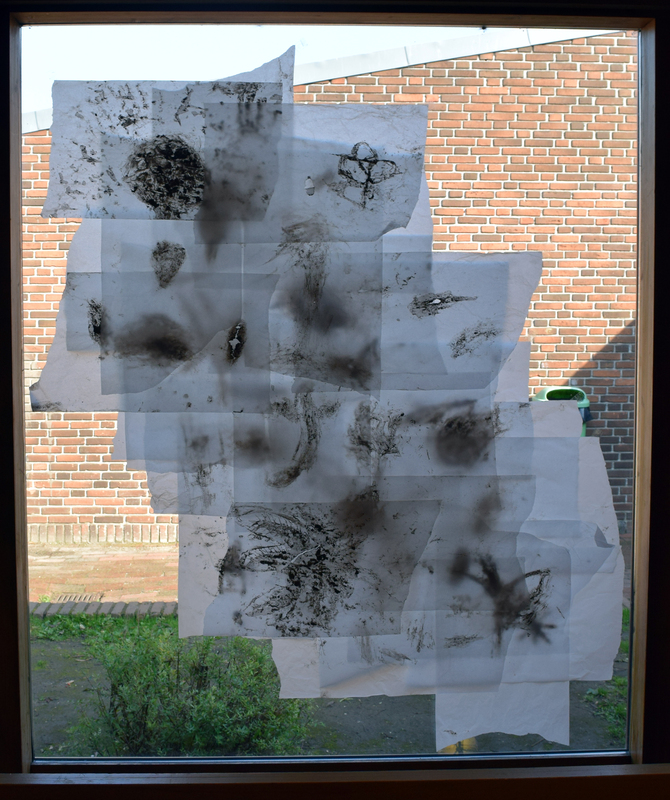 Their work is represented through various tools of mapping that I introduce and develop with them: mapping of shapes, body movements, places, atmospheres and situations. The exercises were divided into the four elements. For the earth theme I did an exercise where we painted an element from the garden using water and soil from the garden – painted with the fingers. 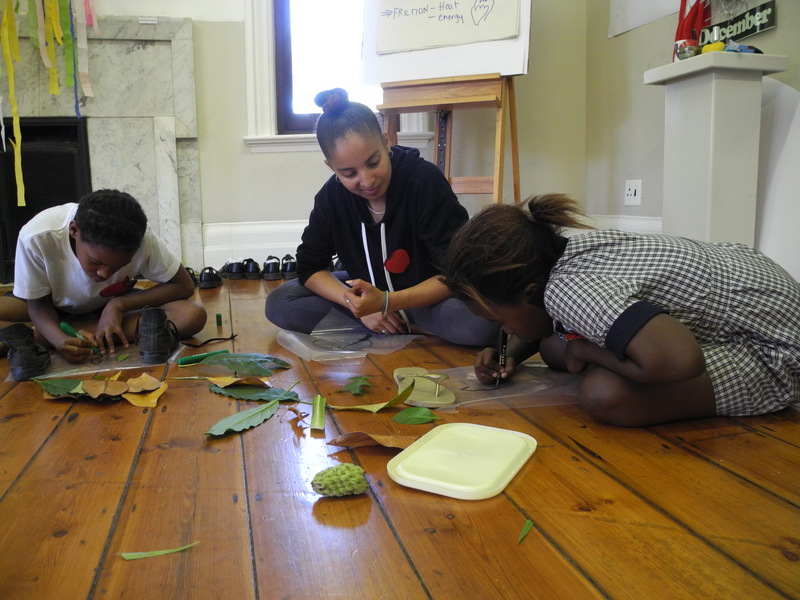 In Cape Town some children experimented with various techniques painting with either soil or water and adding the soil after. 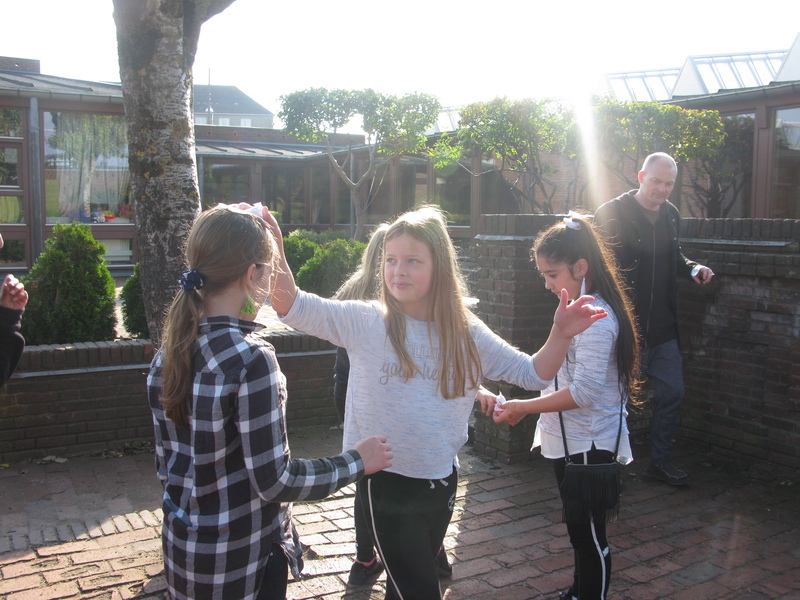 The purposes of the exercise are: in practice to learn about how earth is connected to various elements like water and plants; to experience how the body is connected to the elements (dance/choreography); and to share and express experiences of the garden, the situation and each other. Above is my take on our collective experience of the garden. A development of this exercise could be to put together various takes on collective experiences using our paintings. 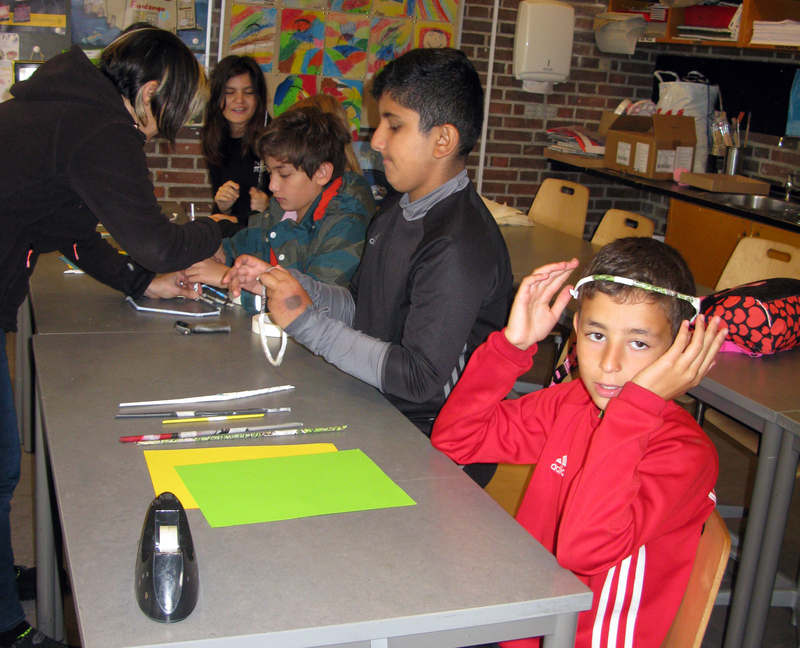 In Copenhagen the exercise was done in cooperation with Liesl Hartman’s crown exercise for one team of children: the children were taught to build their own crowns out of news papers. 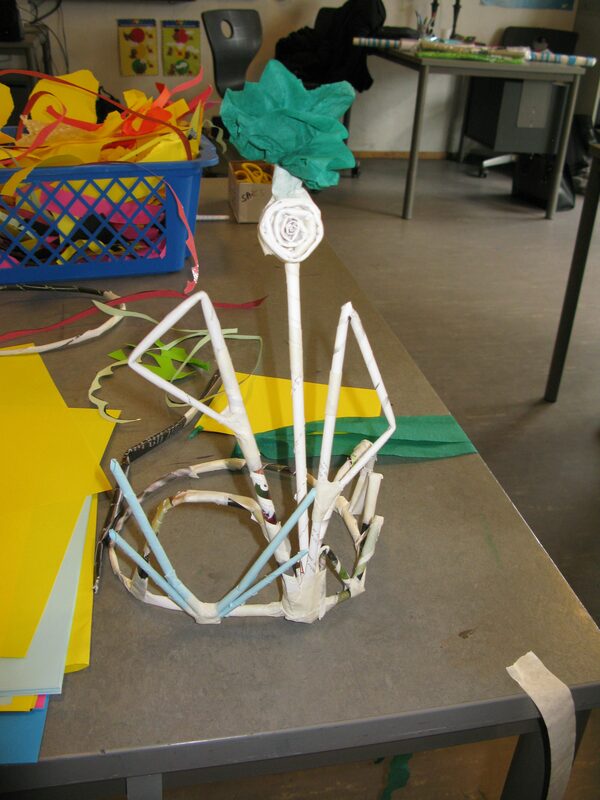 For the other team of children it was done with Liesl’s flower exercise where the children was taught to build a flower. 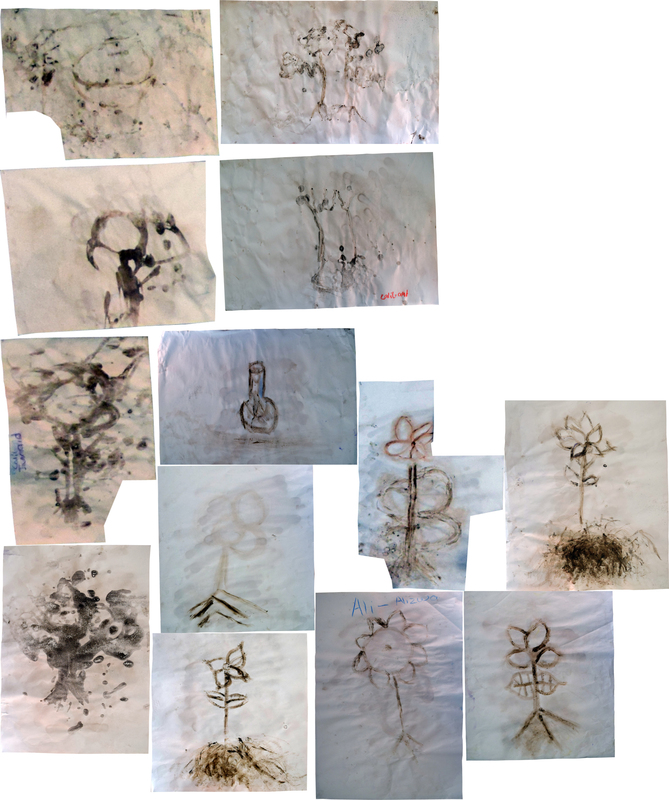 The exercises were combined in the way that the earth paintings was inspiration for their crowns. Body movement was incorporated in the sense that the children had to walk in a parade with their crowns on their heads. The photos are from the last day’s exhibition where the drawings were hanging from the ceiling. 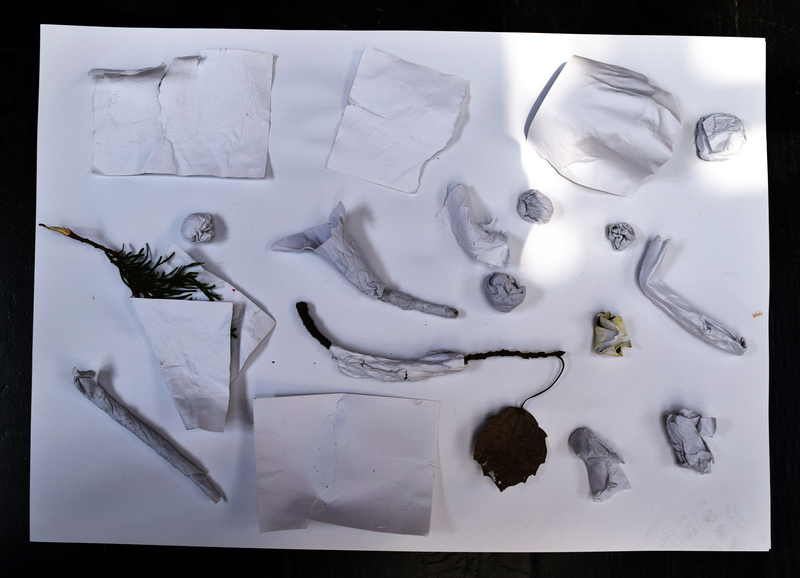 For the water theme I did an exercise where we took wet paper and shaped it around objects. 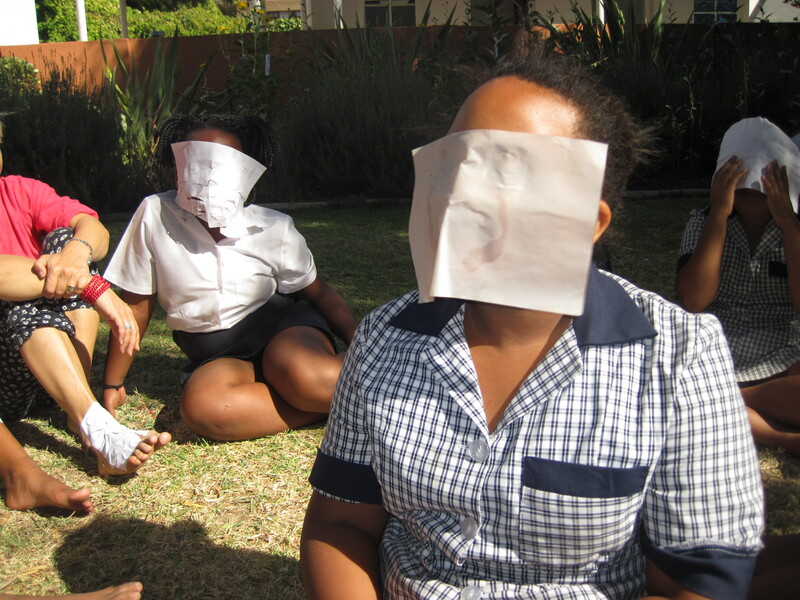 After that we did the same on parts of our bodies to see how it would affect our body movements. 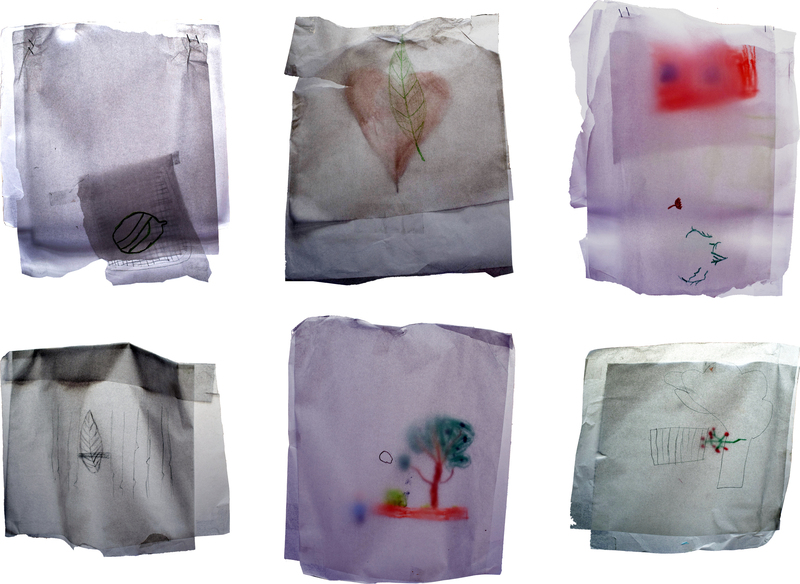 Then we let the paper dry and it kept the shapes. We used the dry shapes to build and map our experiences of the situation. 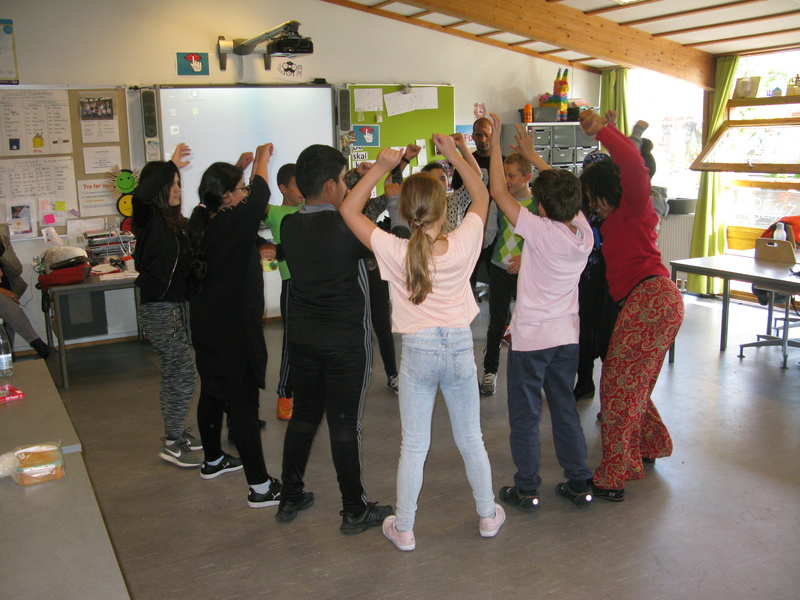 The exercise was done with the purpose of experiencing how water works in relation to organic material and heat and how it affected the body movements. 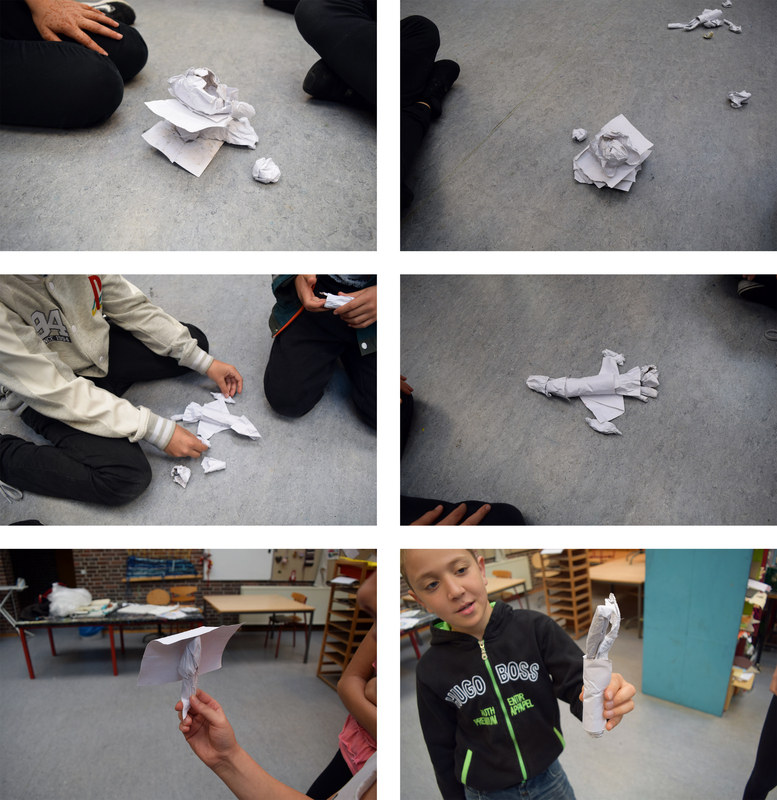 In Copenhagen additional movement was incorporated by developing the body movements in relation to each other’s paper shapes on the bodies. 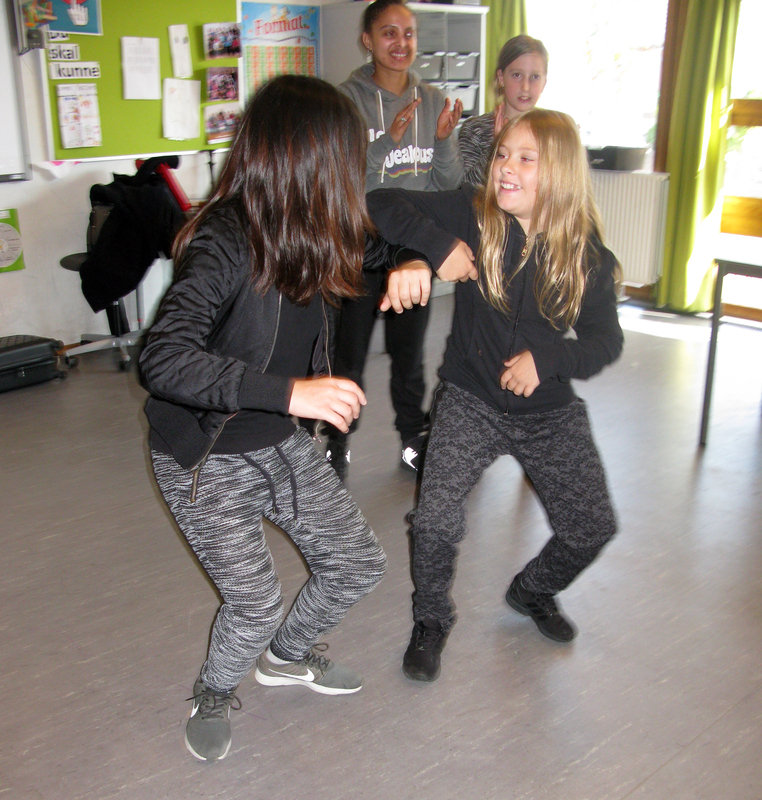 I did the exercise in cooperation with Jamie-Lee Jansen and Lisa Wilson. 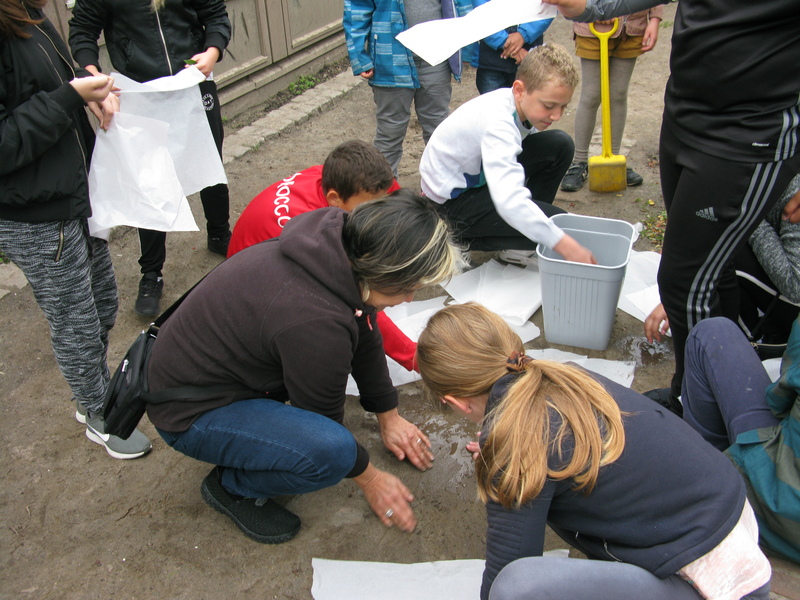 They started out with an exercise with ice cubes melting in the hands to experience the three stages of water: frozen, fluid and gas. They did another exercise with dance movements inspired by things you do with water. The children had to come up with various things like swimming, drinking, skating, etc. The movements were put together with the movements from my exercise and made into series of body movements. The paper dried over night. When the paper was dry it kept the shapes and the children used them to build things out of their imagination. 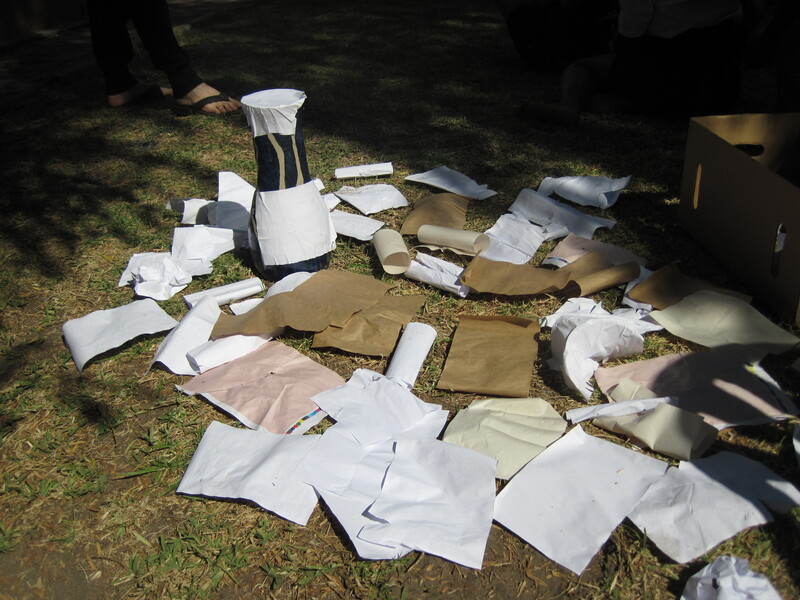 The other artists/scholars are Liesl Hartman, Fabian Hartzenberg, Jamie-Lee Jansen, Anu Rajala, Nild Regout, Gerard Samuel, Charlotte Svendler, Karen Vedel and Lisa Wilson.